* Share this post or private message/whatsapp me at 017-258 5654 (Ms Tifeny) if you have any friends interested. 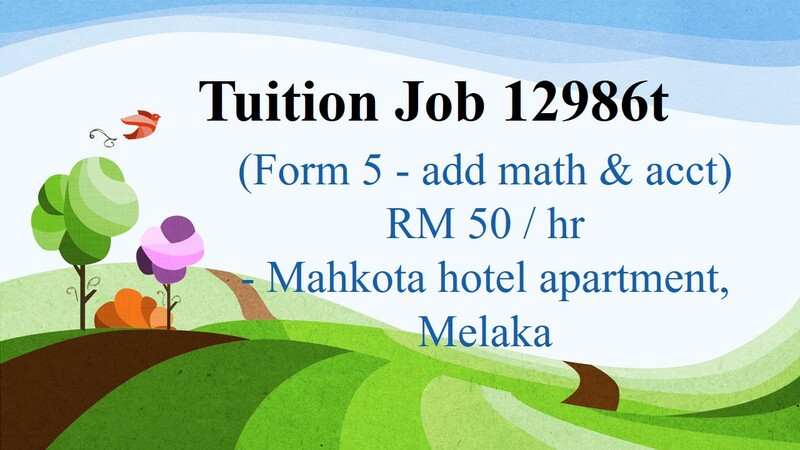 * Registered tutor can apply by Whatsapp (12986t, Full name, Timeslot, Subject, Year of exp). D) Only suitable candidate will be contacted.